As employers are well aware, the Form I-9 is used to verify the identity and employment authorization of individuals hired for employment in the United States. A revised Form I-9, dated 11/14/2016, was recently published by the U.S. Citizenship and Immigration Services and is available at https://www.uscis.gov/i-9. Employers must begin using the new version no later than January 22, 2017. Until then, employers can use either the version dated 03/08/2013 or the new version. The new Form I-9 includes a number of changes and new features designed to make the form more user-friendly and to minimize mistakes. Perhaps the most noteworthy change is the creation of a “smart” version of the Form I-9 that users can access and fill out online. The smart version includes drop-down lists and calendars for filling in dates, on-screen instructions for each field, easy access to the full instructions, and an option to clear the form and start over. Employers filling out the smart version must still print the Form I-9, obtain handwritten signatures, store the Form I-9 in a safe place, monitor reverifications with a calendaring system, and retype information into E-Verify if the employer participates in E-Verify. Employers should be aware that using the new smart version is not required. Employers still have the option to print out the paper version of the Form I-9 to complete entirely by hand. Employers also have the option to utilize an electronic Form I-9 system that meets regulatory requirements. The Form I-9 process is more complex than it appears, and significant legal issues can arise during an employer’s verification process. 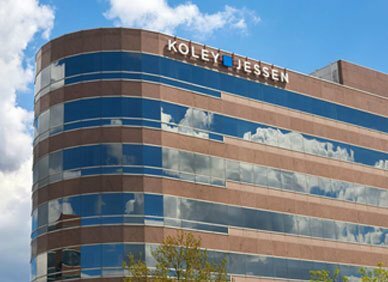 If you have questions about the Form I-9 process or other general questions about immigration compliance, please contact a member of Koley Jessen’s Employment, Labor and Benefits Practice Group.